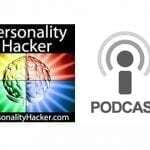 In this episode Joel and Antonia explain the difference between Introverted Intuition and Extraverted Intuition. Intuition is an effectively advanced pattern recognition. It is a learning style basically speculating the train of thought following what’s behind the curtain. Intuitives are not the majority so the world is not designed for them. People who have sensory learning styles aren’t comfortable speculating. They want more information to be safe and secure. Everyone uses intuition to some degree. Intuition isn’t judgmental. Its nature is really just trying to understand what’s happening behind the curtain. Inside us, our intuition is working in conjunction with our mind’s ability to evaluate the information it takes in. All by itself, intuition is totally non-judgemental. It’s simply a process of learning. Introverted Intuitive Style = Perspective. Perspectives have the ability to watch their own minds form a pattern. When they hear people talk or do something, their mind will shift into the other person’s perspective and get a sense of what’s going on. Perspective users oftentimes don’t reveal this kind of genius. They almost have the ability to predict future events. In perspectives, you are able to see how large groups of people are going to react. The process of learning takes some time to develop. Perspectives are very easy to be distracted. It’s almost like a fragile process sometimes. If there’s a lot of sensory input, it’s hard to stay focused because it’s a fragile process. When working on problem, they wouldn’t know how they arrived at the solution. If they get distracted, they might never be able to pick up the trail again. Out of the 25%, only 10% are using perspectives. Perspective people tend to have a lot of one sided relationships and so they have very unique needs. Because they don’t have that many people who understand how it works, it’s difficult for them to rise up to become better version of themselves. Profiler Training monthly Q&A call. They’re able to understand the connections and relationships to things that other people don’t. It’s about new connections. Intuition is interested in speed of information and depth of insight. Both types of intuition do this but Exploration is more inclined to speed of information and Perspectives likes the depth of insights. The world needs both styles of intuition. Without this, we would actually stagnate. The more you give yourself permission and make your intuition more powerful and strong, you could be truly unstoppable in making great things. Intuition as a whole is a process that collects and categorizes situations, thoughts and ideas. It’s reflective when we’re alone and silent, and hyperactive when we’re out in the world. I believe we all use the perspective part of intuition and the exploratory part equally. I explore my thoughts in my universe and not only find odd connections between them, but I also fill in the blanks in my bigger picture to further expand on a certain idea, situation or thought. Perhaps I’m wrong or even overreaching in saying this, but we can’t have one without the other. Just like left handed people or right handed ones, they use the preferred hand, but they can’t function without the other one. I truly enjoy your podcasts, I listen to them before going to bed. They help me fill in the blanks in my own thoughts and I thoroughly appreciate that. Joel and Antonia, may I suggest making a podcast expanding further on how these two styles of intuition interface and bring about a new understanding of the world. I felt like the portrayal was mostly of intuitive thinkers in this podcast and not so much about intuitive feelers. Yes, there is one example, but most of the surrounding description on intuition seems to me to be more about the intuitive thinkers in this comparison between Ne and Ni. Or it could just be me… that said, the reason why I wrote this is because I wish that we were mentioned more. Maybe it is because the intuitive feelers blend more? And therefore harder to recognize them and harder to define how they appear? They often aren’t the stereotypical geek that can get that pass on intelligence as said in a later podcast. However, it makes it harder for me to connect to the description as it seems to be aimed to connect to a NiTe or TeNi (and Ne) audience. Female INTJ here. I apologize in advance for the long comment. I’ve been archive bingeing your podcast for the last few days and I’m really impressed with just how much insight I’ve gotten out of it so far. Had a passing familiarity with the cognitive function stack but your podcast has really helped me understand the system better and use it to identify things I should try tweaking in my behaviour and in my environment. I had no idea the “back to the wall” thing was an Ni thing! Feeling this understood is such a rare thing and it’s such a joy to hear that at least, there’s someone here who gets it! Listening to this episode made me realize something: I apparently have an internal rule (or a strong preference, at least) about not communicating my predictions out loud to people. I’ve been following this rule for years and I didn’t realize it even existed until now. Not sure if I should change it or keep it. The only context I relax it is when watching something on the TV with friends/family and they wonder why I can see plot twists coming from a mile away. The thing about being misunderstood and having one-sided relationships is so spot on! I tend to overshare and try to explain myself a lot, since there’s this fear that the other person will just completely misunderstand me. Unfortunately, that fear often bears out so I’ve got a bit of a complex about it. So much so that I’m going to indulge myself and try to explain how I experience being a “Perspectives” user. I don’t really experience “Perspectives” as being intuitive or woo-woo but more as the mental equivalent of spaghetti code. The way my prediction/intuition system works: I’ll basically have a sort of math-formula with multiple variables. The variables are, well, variable. I don’t know the exact value (that’s behind the curtain) but I glean little bits of evidence for the general range, plug them in my formula and end up with a prediction. Setting up the formula takes time, though. Time to decide which variables to include. Time to decide the structure itself: whats going to have more of an impact on the outcome. Testing it by seeing how well it “predicts” something that already happened. Constant little tweaks and adjustments. All of this happens almost entirely at the “background process” level. This is what I daydream about, without even really paying attention to it. For me, at least, this is why my Ni makes predictions very quickly based on new information and also why I don’t always know how I did it. My best predictions come from the systems that are the oldest and thus already internalized at a subconscious level. Sometimes my only clue into how the system actually functions is if I can notice exactly which bit of information triggered the change or the “Aha!” moment (and sometimes I’m surprised by just how much I’m noticing and processing unconsciously). I also end up collecting interesting systems and models (different “Perspectives” :P) from the environment and seeing what happens if I put my variables and data into those. Tarot cards, chakras, Enneagram type, philosophical viewpoints, behavioural economics theories, etc. And of course, Myer-Briggs. Like having a collection of different coloured glasses to wear and switching them out for fun. Is it possible to use both intuition types almost equally? Just listening to the podcast, do quite a bit about both types. I look and find patterns in the mind and patterns in thoughts and your genius test says i am a perspective which makes sense, but I make a lot of connections with things don’t make sense to most people. I identify with both types, even though they are very different. So another thing that might affect that is just now was the first time that I have ever got anything but INTP. 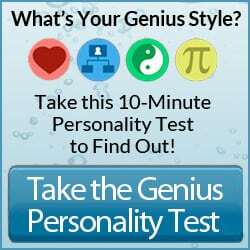 I have taken many many tests and this past time I got INTJ. So is there a chance that I am just so close to either type that both types of intuition are normal to me. Loved the blood hound analogy. And I couldn’t believe the needing to have your back against the wall part. It’s my number one priority whenever we go out to eat or have to rearrange a room. For years I have been looking for the “thing” that has made me different (only Ni in my family) and you guys just gave it to me- thank you! OMG, for so long I’ve thought that I was indeed broken. My therapist keeps asking me why I think I need to be fixed. I’m so relieved to find out that I don’t actually need to be fixed. Maybe just polished a little. Thank you for this podcast! Thank you for a new appreciation of my Perspectives intake style & for my enhanced visceral understanding of it –which empowers me to articulate my strengths in a much more convicted & relevant way– not to mention that it helps ground my own ‘amygdala’s’ perception of ephemerality about it. I am renewed & look forward to continuing my journey with you both. What Emily says. INFP but introverted intuition resonates more than extraverted intuition as described in this podcast. I loved the podcast but I still find it hard to determine which style of intuition I use. Maybe one of the reasons is that I identified myself as INFP many years ago, but now I am not so sure anymore. Since the driver process is unconscious, I find it hard to determine which one I use. Maybe someone else has commented this also, but I had to write it down before I forgot, which means I haven’t read all the other comments. The first time I listened to this podcast, I identified more with how Joel and Antonia described Exploration, even though I’m a clear Perspectives user. I listened to it again and this time figured out that the rapid fire connections they describe in connection with Exploration is just how intuition works, and that’s why their description of their processes resonated with me. The difference is that Ni has to make connections in the inner world, vs being able to make then in the outer world–so I do a lot of the same systems analysis and optimization that they describe as part of Exploration, with the main difference being that I have to learn the system first. My husband uses Perspectives primarily to understand people, motivations and board/card games, and I use it to optimize physical motion, to connect to my reading (whether for school or pleasure) more deeply, and to give thoughtful gifts. We both use it for insight into people and systems, though it does seem like Perspectives is suited to getting inside people’s heads in a way that’s difficult for every other cognitive process. Thanks for the podcast! I’m really enjoying my trek through the back catalog. Thanks for another fascinating podcast! Your descriptions of the “perspectives” intuitive and the “exploration” intuitive both resonate for me. Is it possible for one person to use both? Maybe I’m just confused about what “perspectives” intuition is. The process that happens in *my* mind is really just a kind of imaginative empathy. (I’m an INFP.) I’ve observed enough people over my lifetime that I’m now pretty good at hearing what they don’t say, and at seeing what’s actually going on for them below the surface. If they tell me about an emotional experience they’re having, I can often imagine other related feelings & thoughts that they’ve probably had. That lets me respond to them in ways that feel surprisingly insightful to some people. (Sometimes people actually tell me that I make them feel very seen and heard.) Is that what the “perspectives” intuition is? For me, it’s not a slow process, and it’s more about being attuned to the other person than it is about me looking inward. You mentioned how some of us end up with a lot of one-sided relationships: that’s me in spades. I’m always wishing that the other person would make me feel as “heard” as I make them feel, but it rarely happens. I tend to be lonely. I think this process is one reason why I’ve always loved performing in the theatre: because I’m good at hearing and communicating subtext. I apologize for the late reply, but your experience you describe her is 100% the Authenticty process (Introverted Feeling). You mentioned understanding others because you’ve understood those emotions first hand. This creates amazing empathy with the capacity to validate others’ experiences. Since Authenticity is also subjective like Perspectives it makes sense that you’d also feel misunderstood. Authenticty and Pespectives drivers often feel that way, but it’s actually Ni users who are misunderstood as a whole and Fi users who are invalidated (which ironically is the gift you explained here). It’s a shame that the gift isn’t often reciprocated. That must be frustrating! But, to clarify, the Persoectives process really understand the patterns behind why and how people arrive at thoughts, emotions, and behaviors. For example, I as an INFJ never reference my own emotions to others’ experiences. I understand them fully on what input they give me and how it formulates in my mind. I’m actually quite often divorced from my own emotions and thoughts when I’m dialed into another person so intently. It’s only after a while when I’m alone again do I reconnect with myself deeply. However, I do observe whatever is coming up for me and just see it come then go. I think that’s Ni at its finest, passive observation of patterns without valued judgment. Thank you so much for your suggestion to review the differences of Ne and Ni. Like Veronica and Mary above I’m fairly certain of having the preferences of INFP yet I deeply relate with especially the ‘slowness’, depth and distractibility of the the Ni… If I understand correctly, my co-pilot is Ne and therefore not as developed as my driver Fi. I am wondering how my driver Fi function relates to the Ni function and maybe there are common threads. I can take a 360 perspective easily and naturally focusing in on maximizing the good qualities of the situation. Then I use a process I call ‘marinate’. And at some time later out pops a fully detailed synthesis of what collected and it makes sense by feeling right. I used this process through architecture school and honed it to the point of trusting my results. I just found your material this last month and it all has been incredibly supportive in helping me determine my next steps. You’ll hear from me again for sure. I’m INFP and I love what you said about “marinate” and everything you said perfectly describes me. For example, if I’m analyzing a work of literature, like a poem, I will do a pretty good analysis of it with my Ne. However, after some time (unfortunately after I turn it in), it will slowly become a more coherent synthesis and converge into a fuller picture over time in my mind. As if, my Ni were just slowly working in the background. Especially if it really resonated with me. I enjoyed reading your comment! Hi Joel and Antonia. I’m an INFJ and I’m also Freshman in college. I really enjoy listening to your podcasts. All the topics you cover about the human condition really fascinate me and I love sharing the knowledge you guys provide with other people. Now that I have language to discuss topics that are interesting to me, I experience less anxiety. Anyway, I know this question may be hard to answer but do you know WHY introverted intuition is one of the last cognitive functions to have evolved? It’s cool but annoying because fewer people think like me… Thanks! Keep up the good work!!! Wow. I’ve never had anyone explain the reason I strongly prefer to be able to see the door as anything other than “gun fighter’s syndrome”, and that hasn’t ever made much sense. I just found your podcast and I really appreciate that you go into more depth than the typical personality profile snippet. Sometimes even the non-academics want more than the high level summary. Thanks! Yes, Mary, this is my case also, I’m more oriented to the depth of insight than to the speed of information. And I predominately get more of the insights from watching and analyzing my own internal processes. I’m excited to read and listen especially the information you are offering related to intuition. After listening the podcast I felt the need to ask you a question, because I don’t understand something. I am an INFP and I recognize myself in these traits (a couple of times, using other versions of MBTI, my profile was INFJ). From your presentation I related more to the description of Introverted Intuition than of Extraverted Intuition. Does this happen sometimes? Very interesting Veronica! I just listened to this podcast last night and was signing on to make the exact same comment. I am also an INFP, a very strong one…with all of my preferences in the clear or very clear category. However, I definitely related more to the perspectives description rather than the exploration, especially related to the speed of processing information. I’m very curious about this anomaly!! I relate the closest to the INTJ personality type. Your description of perspectives is amazing. I will definitely try your recommendation of a more effective workplace setup. I plan borrow some of your concrete description to explain perspectives to non-perspectives users, as finding the correct words for an idea can be frustrating for me at times. Thank you very much. Thank you for your terrific ENFP deep-dive podcast! It was brilliant, and You are both exceptional communicators — both in written and verbal forms. Wow, just about everything I would have to say has already been written above but now I understand more about who I am and why I think the way I do and why it is so hard to connect with other humans. Why can’t I find this podcast in itunes anymore? It was there a couple weeks ago. I’m referring to this specific episode. Thank you so much for this podcast! I just about jumped out of my seat when you described Perspectives. I’ve been able to do the things you describe since I was a teenager, from getting into people’s heads in a way that seems almost telepathic and freaks people out, down to predicting future events. The thing is, I’m an INFP; pretty sure I’m really not an INFJ. I use Exploration too, no doubt–that describes my MO too. But I’m certain I use Perspectives as well, maybe even more. How is this possible? Can someone use both the introverted and the extroverted version of a function? Like I said, INFP fits me better that INFJ. I’m baffled, though it’s amazing to hear you describe Ni–I recognize myself strongly in both that and Exploration. Any ideas? I find the “kenetic” aspect of Ne vs. Ni interesting. I usually have to think about things before my ideas are developed properly. But I also find a lot of my thinking actually involves discussing and debating things with people in my head. Is this also a “kinetic” style? One more thing I’d like to point out is that what Antonia is referring to as Perspectives is called theory of mind, at least in the field of anthropology. She is right in saying that this is a recent evolutionary trait because chimpanzees, our closest ancestors, don’t seem to have it. On some level, all humans can do this. Theory of mind refers to the ability to know what others know, and then guessing what their intentions are based on what they know. Theory of mind is especially important when it comes to deception. If you don’t know what someone else knows, then how can you lie to them? You can’t. Because then you’d assume everything you know, they know as well. Kids can lie. Adults certainly can too. The better you know how your own mind works, the better you’ll be able to predict the thoughts of others. Unfortunately, all you have is your own brain. Which is why I stress the importance of reading other people’s stuff (even going out and observing people will work) because doing so is going to give you access to the structure of someone else’s mind. After you get a sense of what’s going on, it’ll be easier to put yourself in their shoes. This leads to greater understanding. And I think all of us could benefit from that. While Soseki is like home base to me, what I really want to look for are the writers who have Feeling as their dominant process. Because feeling is pretty alien to me, it’s hard for me to put myself in the shoes of a Feeler. I don’t really like melodramas because I get affected really easily, so again, back to books. There’s this space in between you and them, and doing so lets you step back and see how their thoughts generate certain emotions. Then you can create a theory based off of it. I kind of have a working theory going on, but it’s still in progress. The point you made about sitting with your back to the wall is very interesting. This is a discovery I’ve recently made about myself. I found it’s very stifling to have your desk face the wall the time, and I very much prefer having my table face an open space. When I’m at a restaurant, I try to find a spot that gives me the widest perspective possible. I want to see everything that’s going on. That being said, something else I’d like to share to readers is in regards to writing. When people say books can tell you a lot about the writer, I totally agree, because writing is basically thinking put into words. Knowing this, I would suggest to anyone who’s struggling with their “type” to either try reading someone else’s work or try writing something of their own. Having books from several different authors, I’m going to go out on a limb here. An S user (I can’t be sure if it’s Se or Si since sensing isn’t my forte), is going to have lots of sensory details in their writing. The smell of a flower, what color it is, how it feels, etc. David Foster Wallace is an example of author who uses A LOT of sensory details in his writing. In one scene, he is able to spend a good page describing exactly how desks are positioned in a classroom, what patterns are used, etc. Simply put, it’s mind blowing. I have no idea how someone can remember that much detail. For me, I’m particularly fond of Natsume Soseki, who, in his writing, is able to articulate exactly how one person thinks, such that by the time the actual event has happened, it’s really not a surprise to anyone. His writing emphasizes the flow of thought itself and I love it. I don’t know whether that is a N thing or what, but anyway. Thanks for your perspective, Michelle! I love to read and I think your premise that Se types would be better at sensory details has merit. Soseki’s ability to map the mind’s progression sounds like something Ni or Fi would have some ability with. Now you have made me want to explore the authors I like versus the ones I don’t. I do notice that I prefer character driven stories and authors that can really get into the motives and thoughts of their characters. hi! you talked about a lack of perspectives mentors, which reminded me of these two perspectives users Luna and Sol, who are INFJ and INTJ respectively, and they are the creators of this relatively new spiritual and growth oriented site called http://www.lonerwolf.com so check out their writing, their messages,ideas, and their ways of thinking, if you guys are interested in getting a deeper insight into the way this learning style can function. it’s kind of nice for me as an INFJ that i get to check out lonerwolf articles and personality hacker articles and podcasts – both perspectives and exploration styles – i kind of feel like i get the best of both worlds. i kind of see you 4 as leaders in your own right, so it’s great to experience and participate in all this knowledge, learning, understanding, and healing, and be part of this collective growth movement. ps: luna and sol have both taken the MBTI and have even mentioned their types in articles (even though the things they focus on are not related to MBTI) and that is how i am confident of their types. I took your test and it came back Perspective/Harmony which I think you associate with an INFJ (which I’ve also tested as from time to time), I def identify more with the ENFJ altho I test very high on my Ni perhaps a point below my Fe. Maybe I should have read the above first. Sorry. Antonia, when you talk, I think i’m min love. It’s as if we are so similar. I never experience where someone get’s me. I feel like i’m having an epiphany. Next month, when I have the money, I will be buying https://ca157.infusionsoft.com/app/storeFront/showProductDetail?productId=15. But I have one question; what’s the difference between the above and https://ca157.infusionsoft.com/app/storeFront/showProductDetail?productId=38? – This may explain why I hate know-it-all’s or why I frequently say the world isn’t black or white. I seem many possibilities and perspectives. – What I alluded to above. When I can speak the language, if you will, I have great insights. – I especially notice this when I see group think. – Yea, sometimes I have laser like focus, and other times I have ADD. – Good grief. As if INTJ’s weren’t rare birds as it is, I have to damn near be an endangered species. I feel like i’m a very strong Intuition. Sometimes it’s almost as if i’m clairvoyant, or like I have a crystal ball. I know I don’t, but sometimes if feels like it. For example, I knew Obamacare was legal. I have friends argue violently that I was wrong. I knew right away, and never wavered. Here’s how I knew, I used to work in medical insurance, and as someone who is disabled, I personally get medicare advantage plans. And I get a great deal out of personal experiences. There are so many similarities between Obamacare and Medicare advantage plan’s, I was able to see them immediately. Another example, I knew Lance Armstrong was guilty of doping. Again, a couple friends of mine doubted, all the way up to him admitting it on Oprah. I read so much anecdotal evidence, that I was certain of it. At times, I know what someone is going to say before they say it. I can’t do this all the time of course, but when it happens, it’s both “I feel like a god” moment and “What the hell just happened? Have to say these podcasts are great. I definitely relate with the difficulties involved in finding mentors. I feel like an alien ALL the time. This is probably the only space where I feel understood. Sad but true. It’s totally just the ability to see the most probable answer intuitively. That’s it. Surely everyone can do this? I’m not sure if we said we view it as woo-woo, or if others unfamiliar with the technical definition can see it as woo-woo. If you’re unfamiliar with it , it can look like magic. Like the saying goes, any sufficiently developed technology is indistinguishable from magic. I wish everyone could use Ni as well as NJ’s do, but alas, we cannot. Though I love having access to Ne (which is pretty kickass, too). would you type house please? ENTP or INTP? It would be really cool if you typed all the characters in a podcast. great show. really useful information by the way. Hi Sara. Thanks for the question. We actually had a discussion about Sherlock Homes on the Facebook page several weeks ago. The conversation is related to Dr. House. It would be our opinion that Dr. House is also indeed an INTP. I thoroughly enjoyed the podcast discussion explaining the difference between Perspectives and Exploration. I totally related to your description of Perspectives and listened in awe to your description of Exploration. The only thing that jumped out as odd to me was when you said Dr. House uses Exploration to diagnose his patients. I have always read that he is an INTJ. The reasoning used in the Facebook post to type Sherlock Holmes and Dr. House as INTPs makes so much sense. Especially when Antonia referred to “pattern recognition in the ‘outer world'”. I was relieved to see this as I could never relate to House’s behavior, nor the speed with which he could make intuitive connections. Your podcasts are awesome! I wished I had run into your website years ago. It could have saved me a lot of grief. I’ve known I’m an ENFP for at least 25 years. But it wasn’t until I broke up with an Extraverted Sensor dominant man a couple of years ago that I finally came to understand what being an Intuitive meant. When my ESFP broke up with me, I asked him why. He said, “Because I want to be with a person who isn’t always asking ‘what if? '” I pressed him to elaborate and he went on to say, “When we walk around your neighborhood and see a pretty house, I say, ‘That’s a pretty house.’ But you have to make things so complicated. You talk about Victorian architecture and urban planning trends and stuff like that. Why not just say ‘that house is pretty’ and move on?” I could not fathom why he found my propensity to hop around in a conversation so irritating. I took me a while to process what he said, but I immediately knew that he didn’t like a core part of who I was. At first I thought there was something wrong with him because he didn’t think like me. Then I worried there was something wrong with me because I didn’t think like him. Then about 8 months after the break up, I was talking to an Introverted Intuition dominant man (INFJ). The way we communicated was so natural and easy that it was sort of spooky. I began thinking about MBTI and wondering if it might help explain why I communicated so easily with some people (Intuitives) and basically felt like I had nothing in common with so many others (Sensors). I still remember sitting on my bed sobbing with relief and joy as I read a really well-written analysis of the profound differences between Sensors and Intuitives. It was the first time I realized I wasn’t alone. I wasn’t a freak of nature. And that there was a perfectly reasonable explanation as to why, all my life, I had felt so different from 75% of the population. And it was the first time, I finally forgave my ESFP ex. He was right. It would have been very hard for us to stay together because we spoke in an almost completely different language. Thanks for helping me and other Intuitives understand the gift and the burdens of our preference for Intuition. Rock on! I am an INFJ, and my twin sister in an ENTP. I know for a fact our mom is an ISFJ and we think our dad is an ESTP. We drive our parents crazy. I remember growing up when we went to a social event I was always told to be polite and to reply if I was asked a question (I was seen as very antisocial and I was usually slow to reply because I was trying to come up with an answer). My sister was always told to be polite and behave (she has always told other people exactly what she thinks, regardless of age or status). Because of this, I was diagnosed with ADD and my sister was diagnosed with ADHD when we were six years old and we were put on medicine to “fix” us. After doing my own research into ADD/ADHD and Myers-Briggs, I wonder if intuitives that are surrounded by sensors are commonly diagnosed with this “disability”. Two sisters – one ENTP and you as an INFJ. That must have been very unique to grow up that way. Our suspicion is that sensor parents do often “diagnose” Intuitive children as being broken, sick or hyperactive. 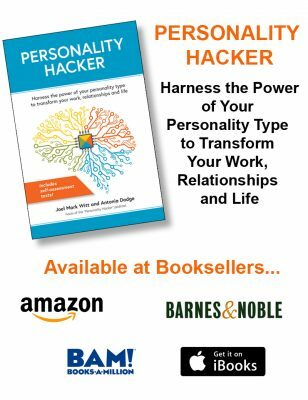 Thanks Adrianna for being a part of the Personality Hacker community and for sharing your story. I’ve come to the conclusion that ENFPs (like me) and ENTPs are often diagnosed with ADD or ADHD because of our propensity to be easily distracted by whatever shiny new thing we see on the horizon, which is due to our dominant use of our dominant Extraverted Intuition (Exploration Preference). I was diagnosed with ADD about 15 years ago and put on Adderall. I don’t know if I have ADD or not, but I can tell you that since I’ve been on it, I have been able to more appropriately use my Extraverted Intuition. Adderall hasn’t changed that I use Exploration as my primary function. But it has allowed me to minimize my distractability when I am in a situation when my tendency to get distracted is not helpful. I hadn’t thought about it before, but I bet that INFJs and INTJs might also seem “easily distracted” to Sensor parents and teachers. Though I assume an INxJ’s ability to hop around with his/her thoughts isn’t as readily noticeable as it is with ENFPs and ENTPs who can be prone to diarrhea of the mouth and thus their “randomness” has a certain smack-you-in-the-face-obvious quality. So how does the thinking and feeling aspects affect intuitive thinkers? I am curious about that connection as well. So how does the thinking and feeling aspects affect intuitive thinkers? I am curious about that connection as well. One of the best ways of understanding how the Thinking and Feeling processes influence Intuition is to look at David Keirsey’s concept of the 4 Temperaments. His description of “Rationals” is a great way to get how Thinking impacts Intuitives, and the same for his description of “Idealists” as corresponding Feelers. I am really loving your podcasts. I have been having such a hard time with why some groups of people I could really connect with and others I could not. I tested my closest friends and found 6 of the 8 had intuition in their type! The other groups I believe have Sensing as their type. I would really love to hear your thoughts on the other introverted and extroverted functions. As this was such a fascinating series. Lastly, I totally agree about the two intuition types being good together. I am an ENFJ and my husband is an INFP! There is a giftedness literature on MB. Basically, INFP, ENFP, ENTP, INTP are found to be most frequent in the gifted population, essentially all the exploration trailblazer types. This made me think that such research is not picking up on the NJs, perhaps because they are hiding their genius. I took your test and got perspectives/effectiveness, and the description in this podcast sounded pretty accurate. I’ll check out some more of your podcasts. I am so glad to find you! I am a perspectives introvert – absolutely resolved by your descriptions. However, I can also do extroverted intuition quite well. I have recently done a lot of research on mystics and learned about intuition. In fact, I proved to myself over the years I spent in seminary reseaching mystics, that mysticism is a personality type, not a zany religious fanatic that has visions and special divine powers. 😉 I like Myers Briggs (versus enneagram) for learning/perceiving/judging styles because it seems fairly simple and clear cut. Enneagram is not clear cut. My humanities friends like enneagram. My science/psychology friends like MB. Anyway, My intuitive style became much more obvious when I left my pharma career and, for family reasons, portioned my life into a less time spent in technical/left-brained/objective mode and, on the side, picked up spirituality as the context to stimulate my always and forever interest in the brain/mind. Your information is really affirming and certainly, resonates with my experience, especially over the last 15-20 years as I have tried to “fit in” with non-science people in the more diverse world. I’d love to hear more about your spiritual journey. Antonia and I have A LOT of discussion about spirituality offline and will probably do some podcast episodes and other stuff around this in the future. Thanks again for listening and commenting Peggy. I completely agree – personality typologies come in many shapes and sizes (including spiritual practices), and they are invariably attempts to reach self-compassion, and concurrently, compassion toward others. This isn’t the exact same thing, but sort of related: I have a working theory that personality types are attracted to religions that feed their Dominant function (or, the “Driver” process in our Genius System). When a person leaves a religion it’s generally because it is repressing/suppressing that same mental process. It becomes intolerable. 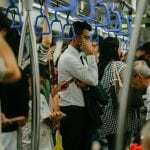 If the religion (or spiritual practice) neither fuels or suppress the Driver process, then it’s a mixed bag and generally where we see people “identify with” or affiliate themselves with that religion, but aren’t the missionaries, so to speak. Peggy, that is insightful. I was wondering how personality biases cause different types to seek God. I had thought about how MBTI relates to spirituality. Everything in nature seems to follow some sort of structure, and MBTI is no different, and so it is a bit of an affirmation to me that personality type may be created by a spiritual force. The types seem to be teleological…that is, they are driven towards a certain end–toward integrating different aspects of their personality. Thanks for the comment Frederick. I bet you’ve had similar things said to you. The crazy part was that this person was VERY ANGRY while they said it. It bothered them so much they reacted in anger. This is the type of response some Intuitives are up against. It can be painful to show your intuition to the world. thank you so much for the last two podcasts. I am an intuitive and I don’t think I have ever felt that somebody understood me on such a profound and deep level than what you’ve been talking about in those last two podcasts. I have been literally shaking with excitement when listening to your last two episodes as it left such a deep impact on me! I’ve been a long time listener to your podcast and you’re doing some amazing and important work for all the intuitives out there! I have done the test in the past and I came out as a perspective, however I can resonate with some of the exploration stuff you’re talking about as well. Everyone has a little Perspectives and Exploration in them, so whichever style of intuition you favor, the other will still resonate a bit. You should be able to identify your go-to, intuitive tool, though. One will definitely feel stronger than the other. Immediate answer, The fork is male = piercing, defending and feeding the family. The salt shaker is female= providing flavor and sustenance to family, housing the salt within he nobody like she houses hormones or a baby in her body. Can somebody have both exploratory and perspectives? Find myself being an explorer but also enjoying depth of insight. labeled INTJ yet am unable to put myelf in other peoples shoes to see how they think or use perspectives To get in mind of others. However, am well aware an often enjoy watching thoughts, images, abstract images play out I mind often. How can one awaken perspectives or feel others better?